It seems no matter which way you turn, RGB LEDs will illuminate your path. Today we look at Logitech’s latest in their G branded peripherals, the Logitech G560 2.1 Gaming Speakers, with, you guessed it, RGB lighting. 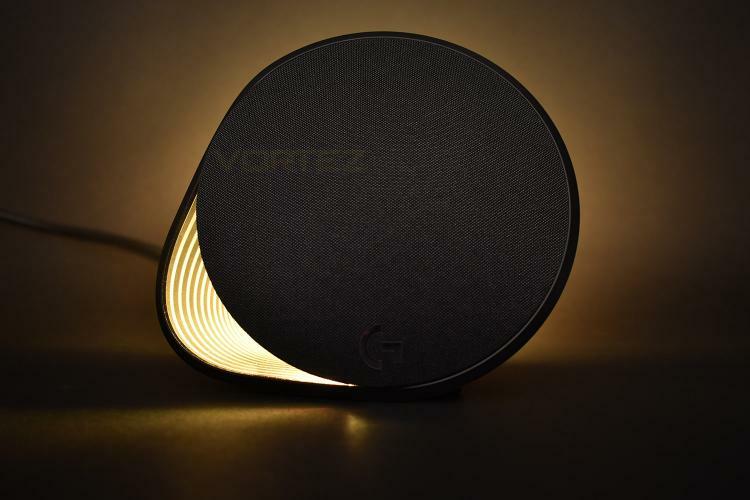 The G560 features 240W of peak power, split between a pair of tweeters, fitted with two zones of RGB lighting, as well as a sizeable, separate subwoofer. The eye-catching design is remarkably modern so should fit in well on most desktop setups. Connectivity isn’t going to be an issue, arriving equipped with a USB connection, for transmission of both sound and RGB lighting information from Logitech’s Gaming Software. There’s also built-in Bluetooth or a 3.5mm AUX input for connecting a phone or TV. The £210 price-tag certainly isn’t the most expensive we’ve seen, but they obviously need to perform pretty darn well to warrant that cost for a 2.1 setup. Feel games and music in a whole new way. Two lighting zones per speaker deliver rear ambient projection to enhance your environment and front-facing lights for more active and informational lighting. With LGS you can customize across approximately 16.8 million colors to match your style and setup. Let the programmable screen sampler react to your monitor to extend any colors from the screen to your room.